It's not quite the dog days of summer, but with triple digit temperatures, things are slowing down in Houston considerably. The events below are just about everything happening this weekend as far as art goes (I may have missed something--if I did, feel free to mention it in the comments). Fortunately, it all looks pretty fun--fun enough to brave the soul-crushing heat to see! Do It: Houston with Regina Agu, Debra Barrera, Caleb Churchill, Joseph Cohen, Jamal Cyrus, Jack Eriksson, David Feil, Lauren Moya Ford, Joseph Havel, Rachel Hecker, Katy Heinlein, Otis Ike, Jang Soon Im, Erin Joyce, Autumn Knight, Cody Ledvina, Massa Lemu, Gabriel Martinez, Ayanna Jolivet McCloud, Senalka Mcdonald, Madsen Minax, Mari Omori, Mark Harold Ponder, Davide Savorani, Carrie Marie Schneider, Patrick Turk, and Ronnie Yates, organized by Max Fields and Olivia Junell at Alabama Song, 6 to 9 pm. 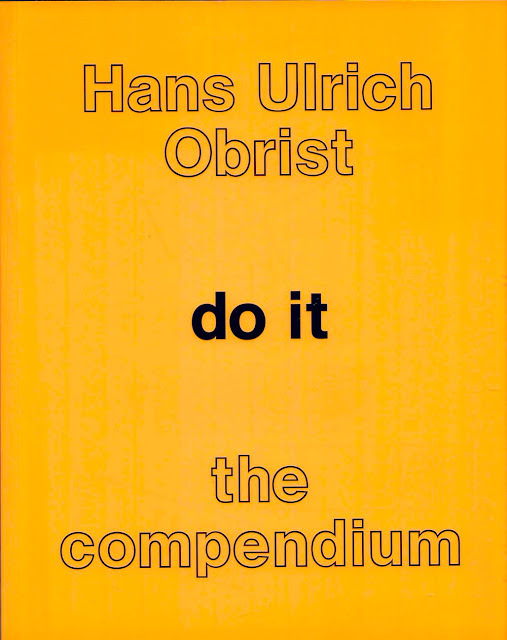 Do It celebrates the 25th anniversary of Hans Ulrich Obrist's Do It project and the recent publication of the Do It: The Compendium . I'm mainly curious to see Alabama Song (with a name like that, they better have a whiskey bar). They have an Indie Go Go campaign going right now, and I want to see this show before I decide whether or not to contribute! Salon des Refusés 2013, part 2, with Magdalena Abrego, Megan Badger, Nicole Bean, N. Blanca, Cherie Bright, Aaron Castro, Diane Fraser, Quinn Hagood, Sarah Hamilton, Jane B. Honovich, Luke Ikard, David Letchford, Rebecca Lowe, Jonathan Lowe, Yma Luis, Michael Mallory, Penny McDonald, Adrienne Meyers, Eric Ockrassa, Kati Ozanic-Lemberger, Annette K. Palmer, Tony Parana, Tara Ratliff, Peggy Sexton, Caleb Sims, Karen Smith, Joelle Verstraeten, Joyce Matula Welch and Jo Zider at BLUEorange, 6 pm. This is week 2 of BLUEorange's four week series of pop-up exhibits of artists who failed to get selected for the Big Show at Lawndale. The 5th annual Visual Stimulus Package at GGallery, open for viewing at 11 am and then for buying at 6 pm. Apama Mackey's annual pop-up show of inexpensive artworks by well-known Houston artists is back. All art is either $50, $100 or $200. This show usually has some great stuff, and the prices are unbeatable. Open, an Artists Studio Event with Tod Bailey, Karim Alston and Richard Garcia at Summer Street Studios, 3 pm to 9 pm. Three painters show their work in this show organized by Jay Wehnert of Intuitive Eye. 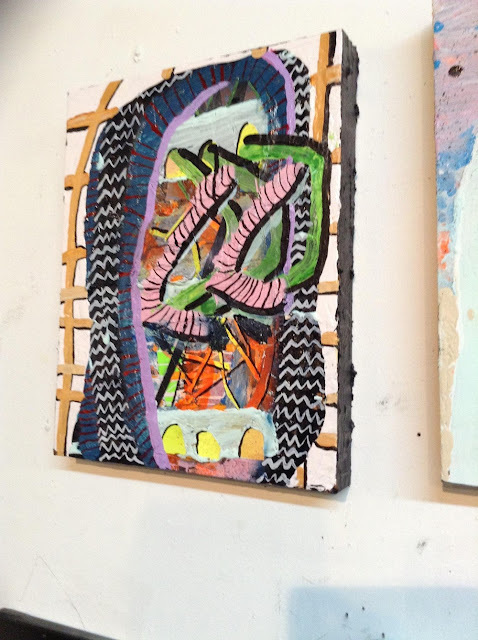 New Paintings by Brandon, Dylan, Guillaume and Isaiah (i.e., Brandon Araujo, Dylan Roberts, Guillaume Gelot and Isaiah López) at the MAS Exhibition Space at Spring Street Studios, 6 to 10 pm. The ever-evolving Montrose Art Society has some new young members apparently--it should be a show worth checking out. 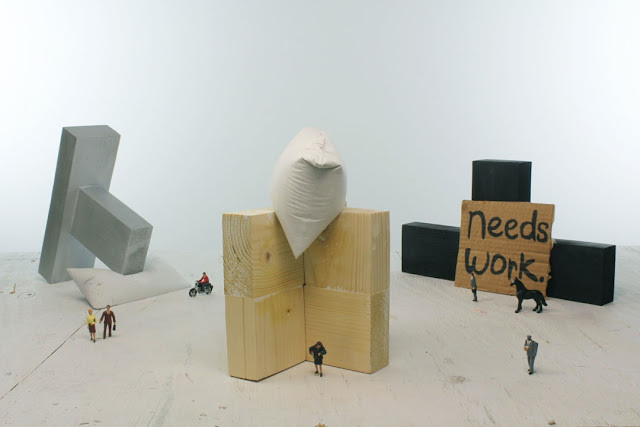 The Big Slide Show Artist talk: July 31 and August 1, 6–7 pm each night at Lawndale Art Center. Every year, Lawndale gives its Big Show artists an opportunity to talk about their work. This talk is split over two nights--Wednesday's talk features John Adelman , Kari Breitigam Adrian Landon Brooks, Felipe Contreras, Jennifer Ellison, Avril Falgout, Luna Gajdos, Jeremy Keas, Galina Kurlat, Melinda Laszczynski, David McClain, Susannah Mira, Julon Pinkston, Eduardo Portillo, Kay Sarver, John Slaby, Alexine O. Stevens and Martin Wnuk. 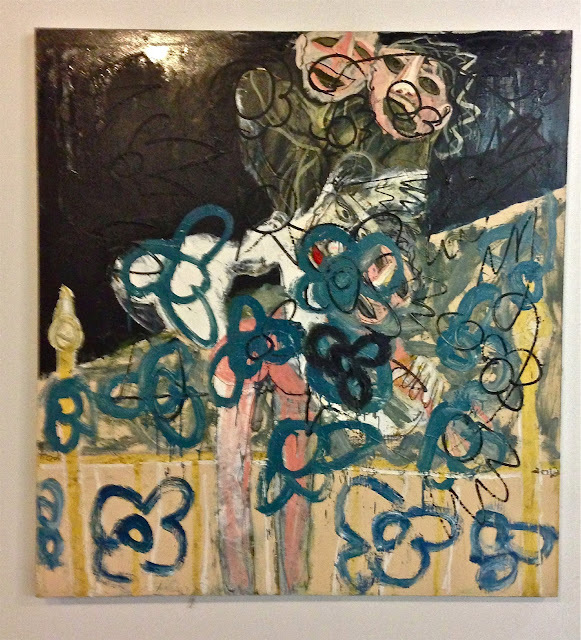 Window into Houston: Jim Nolan shifting SCALE at 110 Milam St., 8 to 10 pm. Even though the new improved Blaffer Museum is complete, they are continuing their fun series of window exhibits downtown, this time with Mr. Matter-of-Fact himself, sculptor Jim Nolan. Just to clarify Dylan Roberts, Brandon, Isaiah, and Guillaume are not members of the Montrose Art Society.